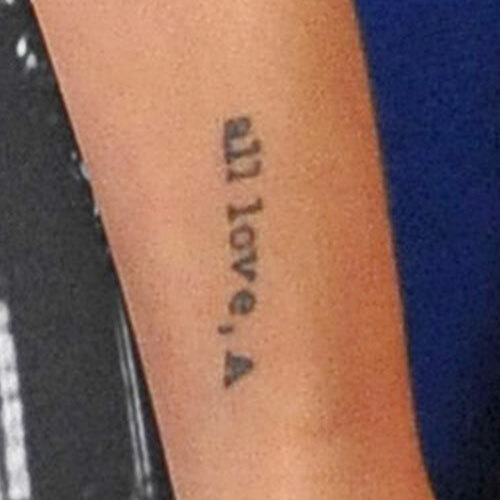 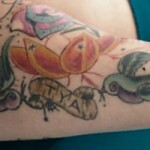 Tulisa Contostavlos has a tattoo on her left forearm of a vintage style microphone and roses surrounded by music notes. 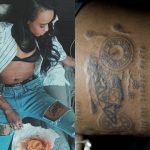 The writing says “RIP Uncle B N Dubz for Life.” It is a memorial to her uncle Byron who helped her achieve success with her musical group N-Dubz. 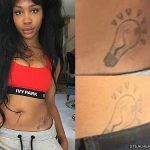 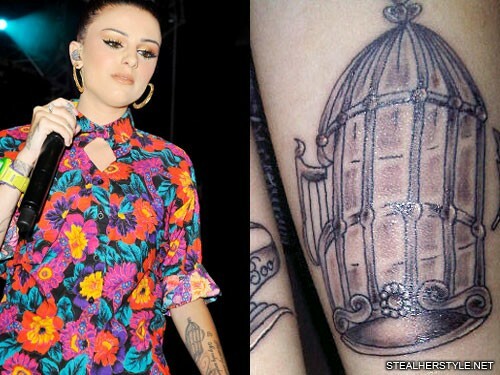 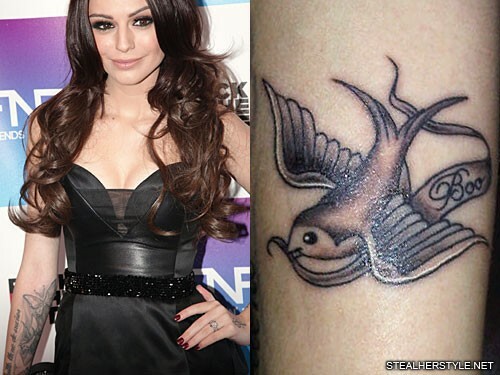 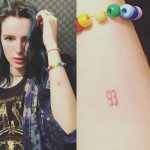 Only two months later, she got a huge butterfly tattoo on her forearm which surrounds the bird but does not cover it.